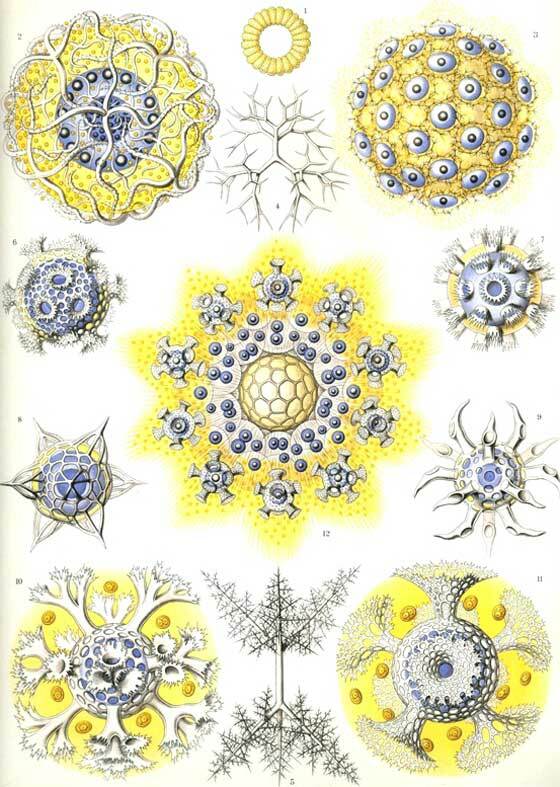 You'd never said that these marvelous illustrations, rich of patterns and amazing graphic details...they are work of a scientist? 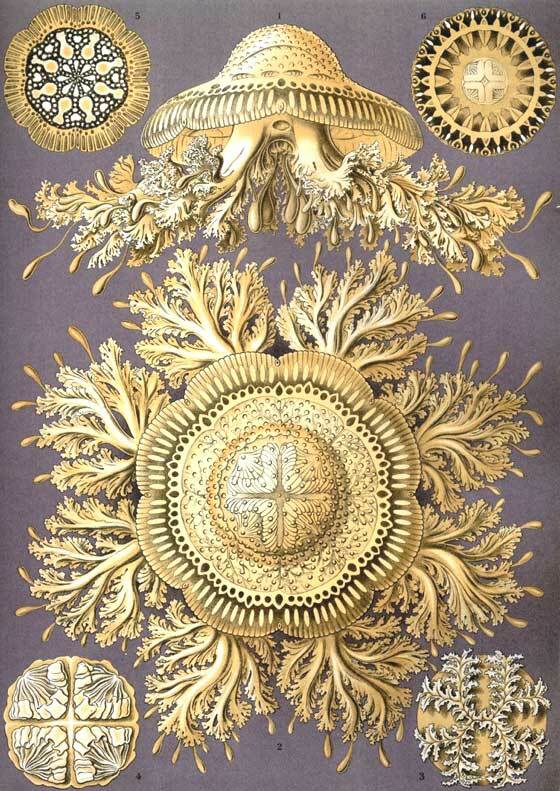 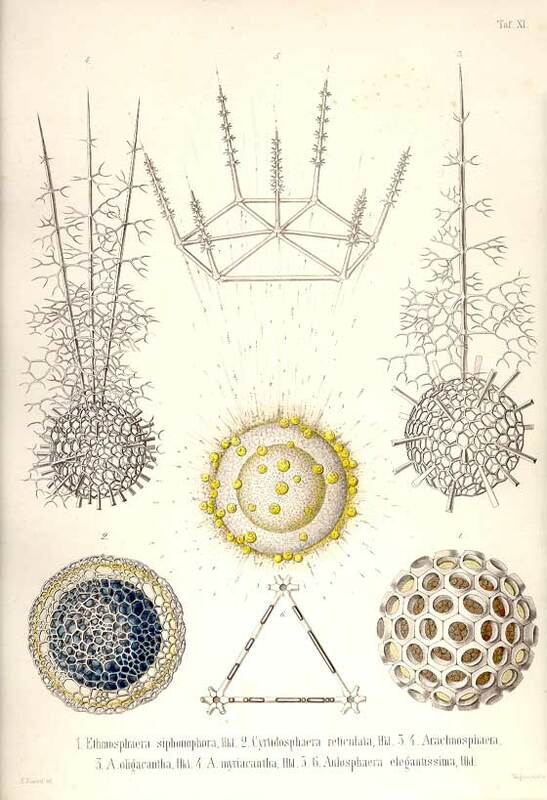 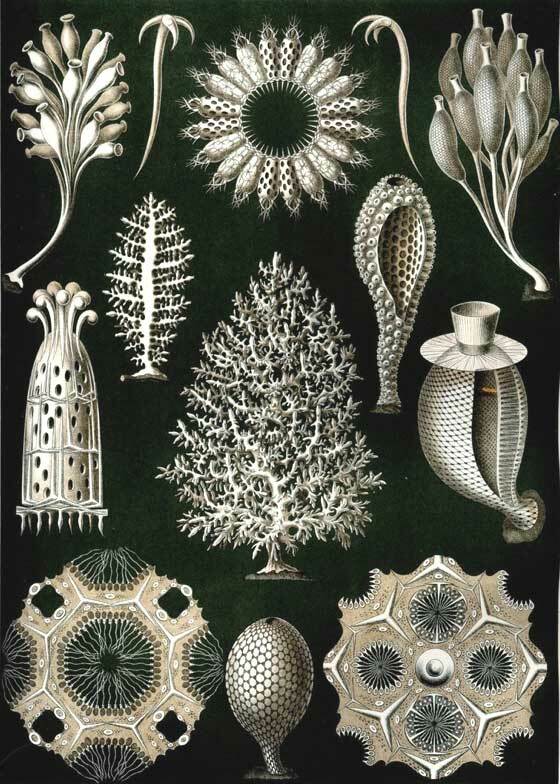 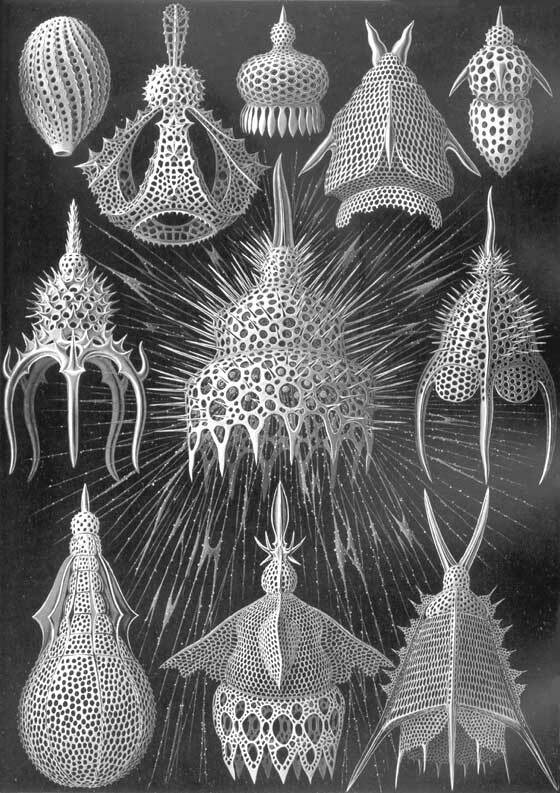 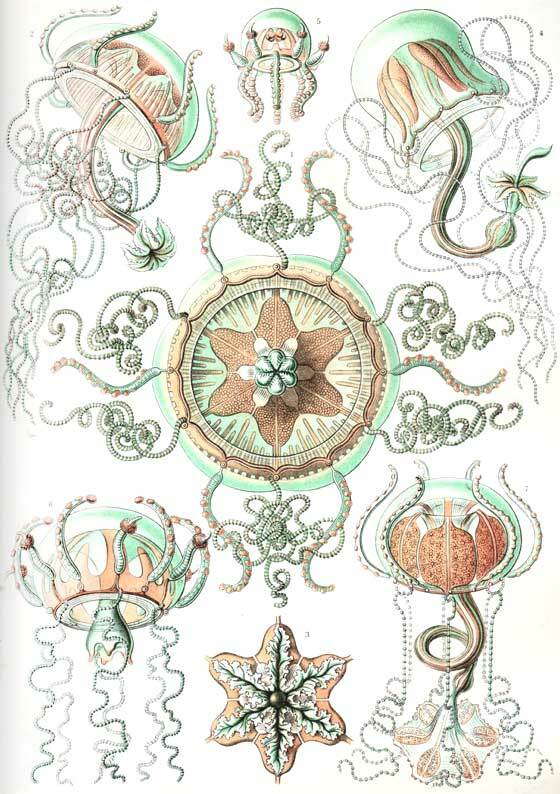 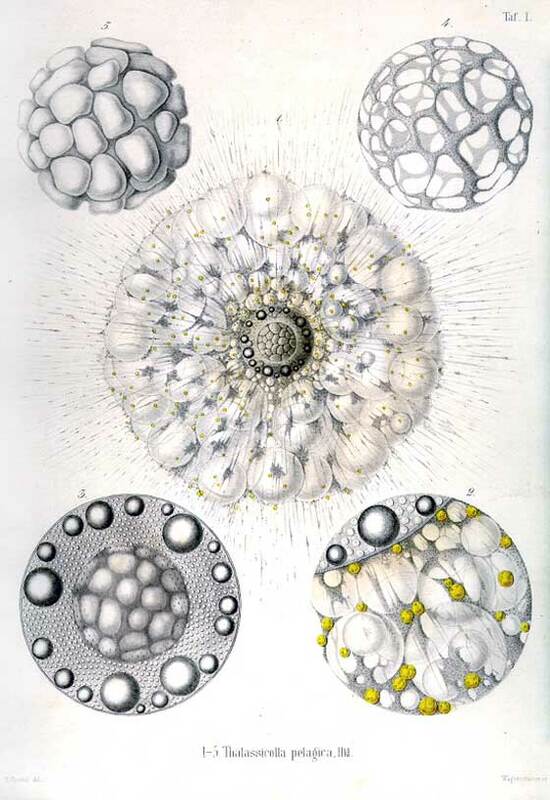 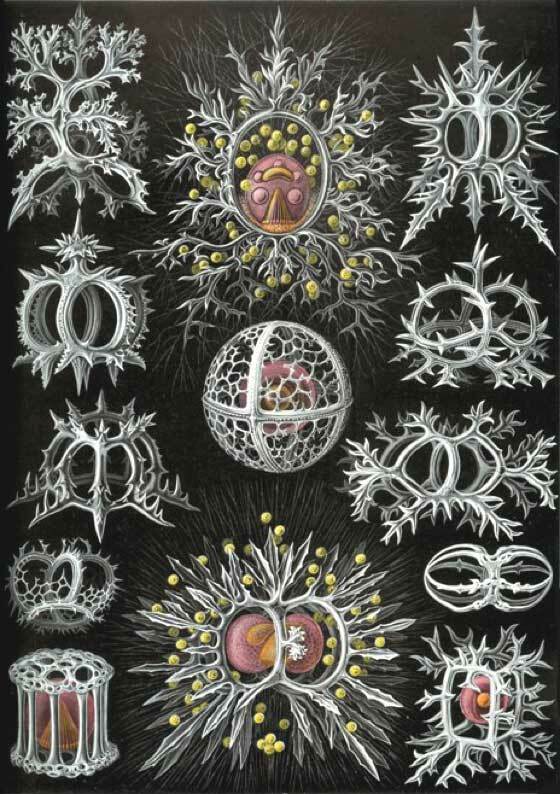 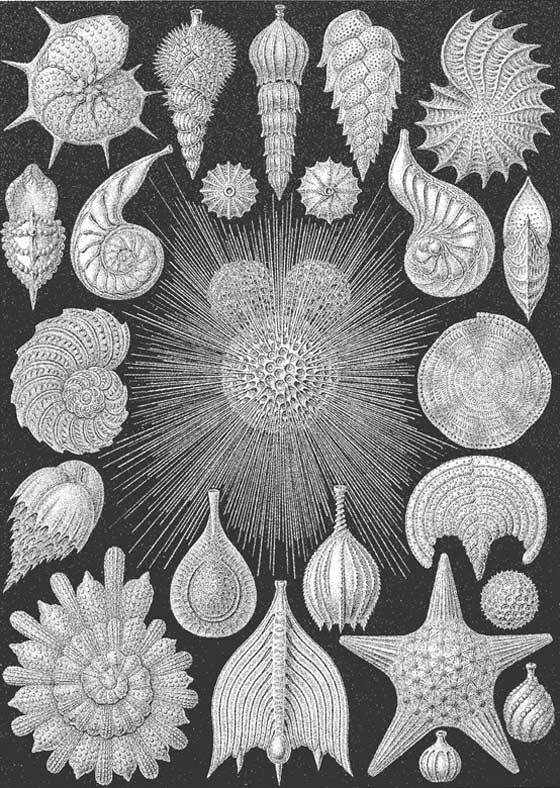 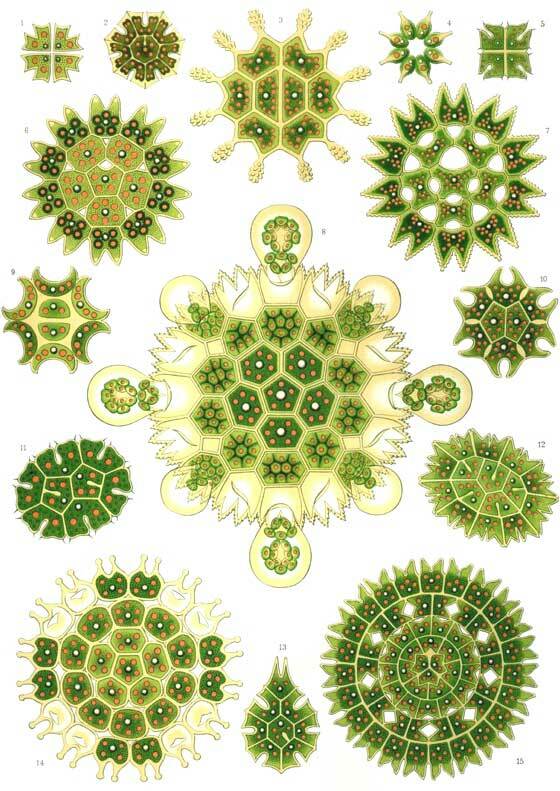 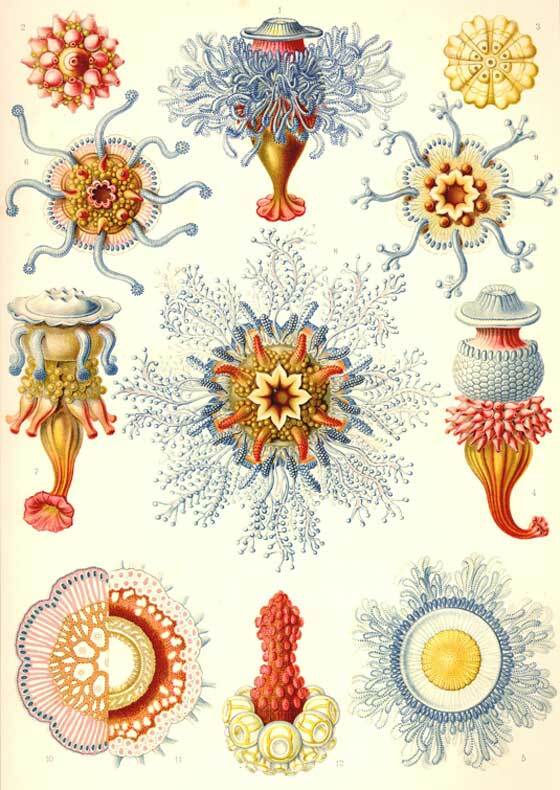 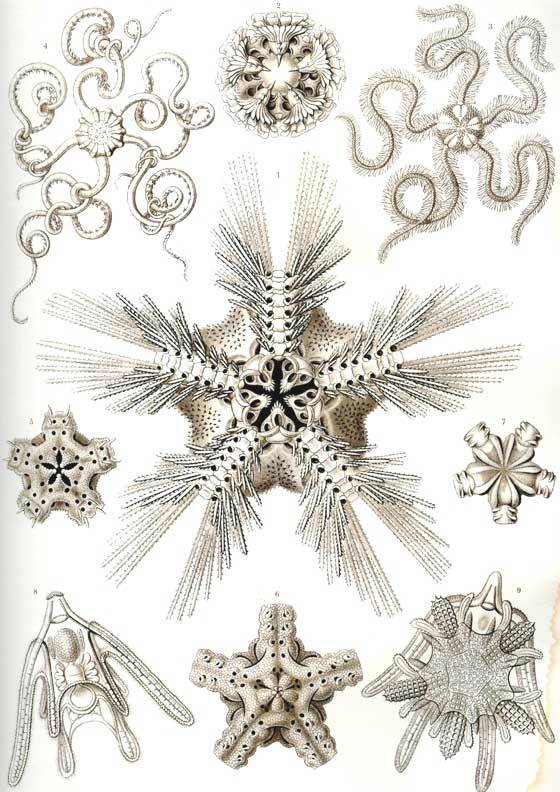 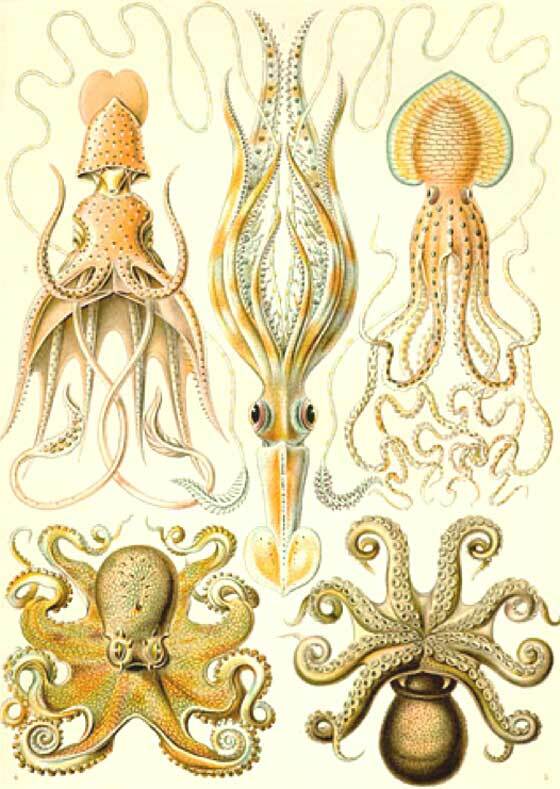 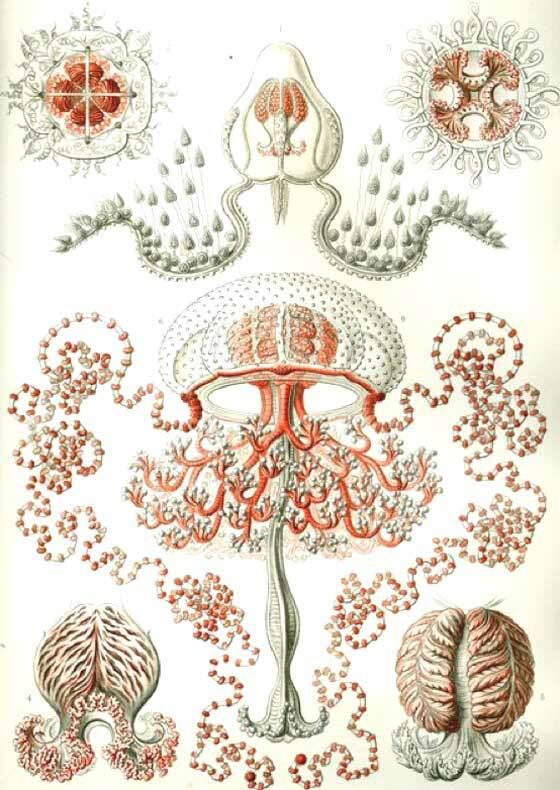 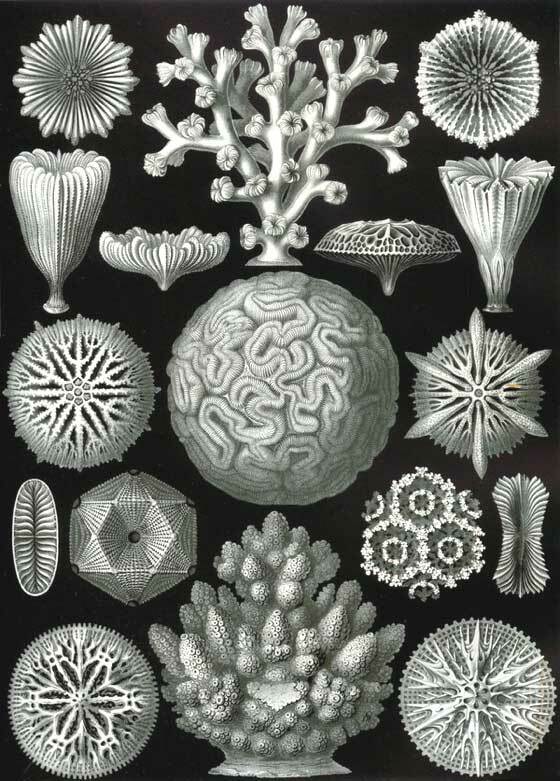 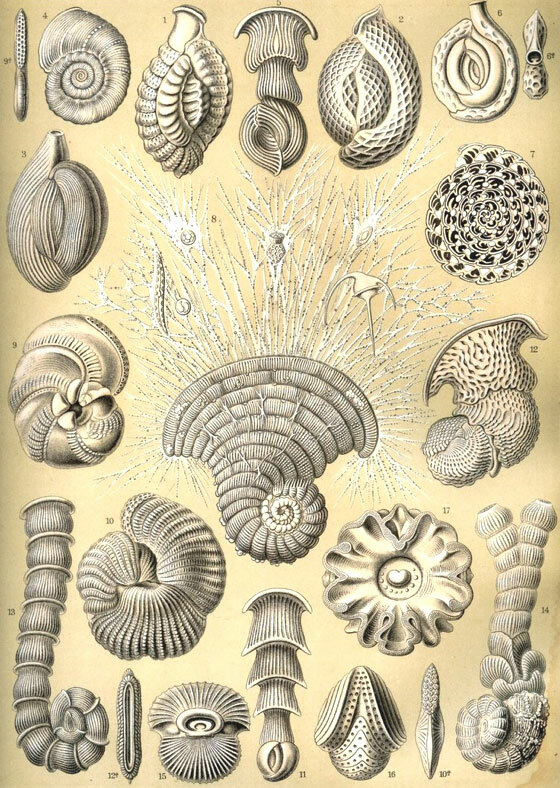 Oh yes: the author is Ernst Haeckel (1834 -1919), german, one of the most important zoologists and darwinist of 800's, specialized in the sea organisms as radiolarians, jellyfishes, sea stars. 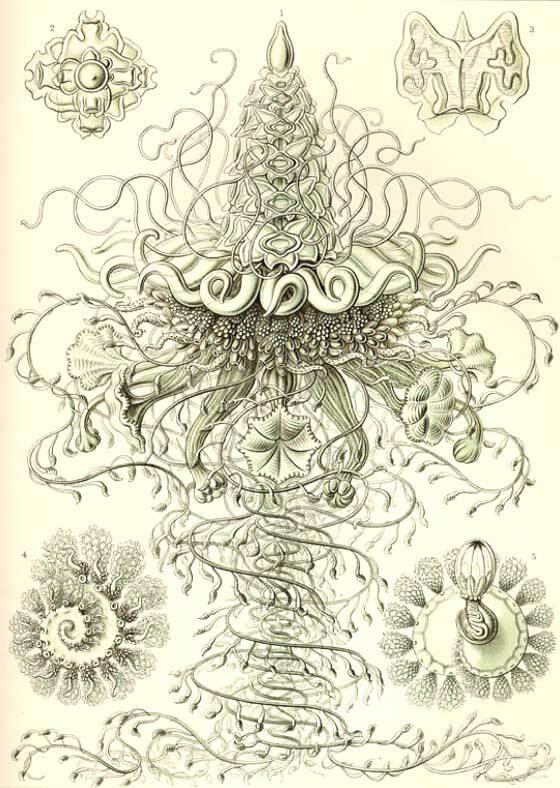 His activity in biology, united to the passion (and, i add, to great taste and unbelievable technique) for sketching: spectacular his artworks, lithographies and his naturalistic books.